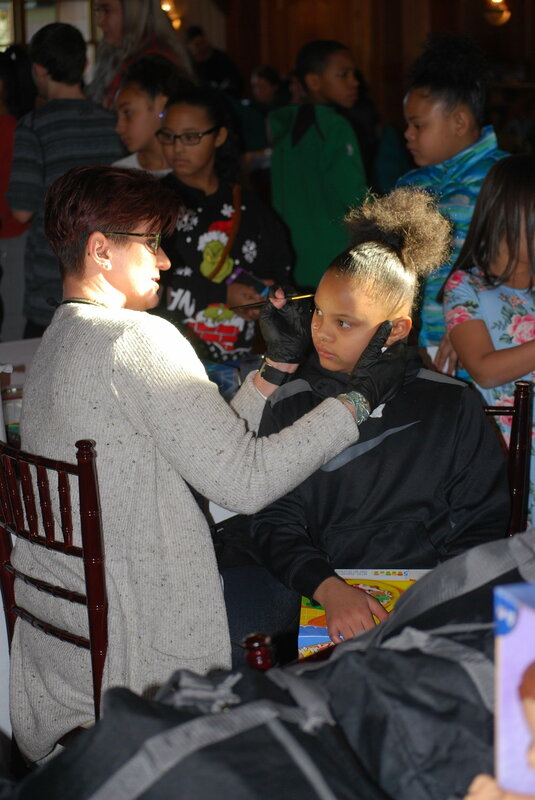 MWYF Holiday Party Spreads Cheer to 250 Kids! Thanks to our friends at Tewksbury Country Club who generously host us each year, this year’s Mark Wahlberg Youth Foundation Christmas Party spread smiles and cheer to 250 deserving young people from the Boys & Girls Clubs throughout Massachusetts. Selected and invited to attend by their home clubs, our guests were treated to a delicious breakfast, fun games and entertainment by ND Entertainment and face painting by our friend Claire at Fancy Faces of New England. Over the course of the morning our guests were able to choose a game or toy of their choice that were donated by Hasbro, received a duffel bag of clothing from Soles4Souls, and got brand new winter coats from Operation Warm, who will provide their 3 millionth coat this year to children in need! After Santa and Mrs. Clause were flown in by helicopter, the grand finale came when we provided gift cards for the kids, and our friends at Acer and Connection IT gave every child at the party brand new Acer Chromebooks!